New York-bred Horse of the Year Mind Your Biscuits, winner of the Group 1 Golden Shaheen in Dubai on March 31, turned in his first workout at Belmont Park since returning from a few weeks of freshening at the Fair Hill Training Center in Maryland, and is pointing to the Grade 1, $1.2 million Metropolitan Handicap, one of six Grade 1 stakes on the Belmont Stakes Day undercard on Saturday, June 9. The son of Posse worked four furlongs in 46.98 seconds over Belmont's main track on Friday morning with jockey Joel Rosario in the irons. The sharp work, a bit faster than what trainer Chad Summers had planned was enough to confirm that the all-time leading money earning New York-bred is on top of his game. 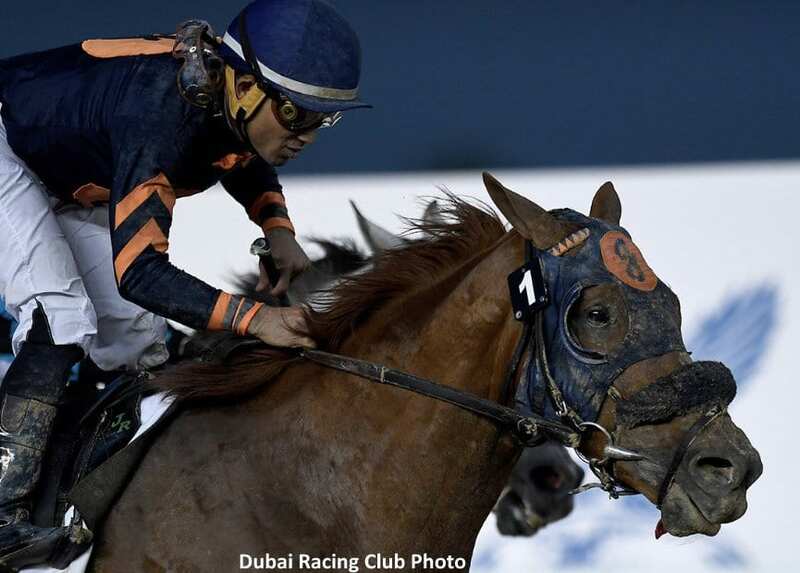 The multiple graded stakes winner, who captured his second Golden Shaheen victory in two years, remained at Meydan Racecourse for a week after his thrilling last-to-first storming stretch run which put him a head in front at the wire. The 5-year-old then flew to Chicago before vanning to Maryland. “The extra week in Dubai made a world of difference,” said Summers. “Going over to Fair Hill, they did a great job over there. I mean he couldn't be doing any better right now. This is probably the best he's ever been. The next start for Mind Your Biscuits will be a sentimental one for Summers, who trains for a partnership that includes the Summers family, M.E. Kisber, J Stable and Head of Plains Partners. Mind Your Biscuits, who owns victories in the Grade 2 Amsterdam, Grade 1 Malibu, and Grade 2 Belmont Sprint Championship, gets billing as being a sprinter, but the starter of 21 career races can go farther if needed, said Summers. “I don't think he gets the respect going a mile,” he said. “If all the horses show up that say they're going to show up in the race, we might be the third-choice on the morning line. I don't care, we've been a longshot our whole lives, so it doesn't make a difference. This entry was posted in Racing and tagged belmont, belmont park, chad summers, dubai, Golden Shaheen, Met Mile, Metropolitan Mile, mind your biscuits, nyra by NYRA Press Office. Bookmark the permalink.